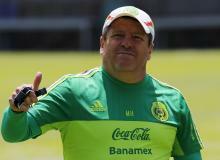 We preview and predict the 2015 Gold Cup Final between Mexico and Jamaica. Find out where you can watch the match and tell us who you think will win in our poll below. 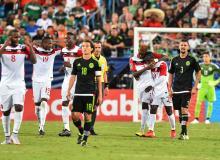 The decision to award Mexico a penalty late in their Gold Cup semi-final win over Panama was a wrong one, CONCACAF have admitted, but is it too little, too late for that? 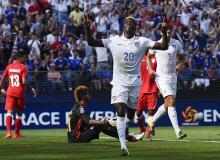 After 120 minutes playing USA and Panama draw 1-1 match was defined the third place in Gold Cup from penalties kicks. 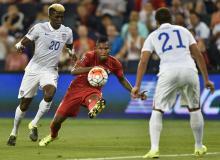 We preview and predict the 2015 Gold Cup Third Place match between the United States and Panama on Saturday, July 25, 2015. Tell us who you think will win in our poll below. 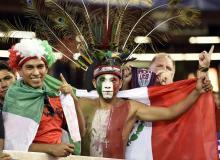 Mexico got a gift on Wednesday, when a late controversial penalty call gave El Tri a come back victory over Panama 2-1 to advance to the Gold Cup Final against Jamaica. 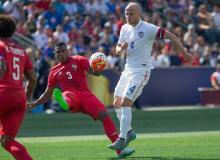 The United States conceded two first half goals five minutes apart, and could not come back, falling to Jamaica 2-1, at the Georgia Dome. We preview and predict the 2015 Gold Cup semifinal match between Mexico and Panama. Find out where to watch the game online and tell us who you think will win the match in our poll below. 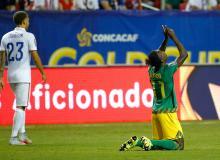 We preview and predict the outcome of the 2015 Gold Cup Semifinals match between the United States and Jamaica. See where you can watch the match and tell us who you think will win in our poll below. Alex Morgan graces the cover of EA Sports FIFA 2016 alongside Lionel Messi. 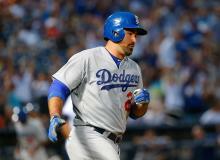 Dodgers drop opening game to Braves 7-5 in Beachy's return to Georgia. 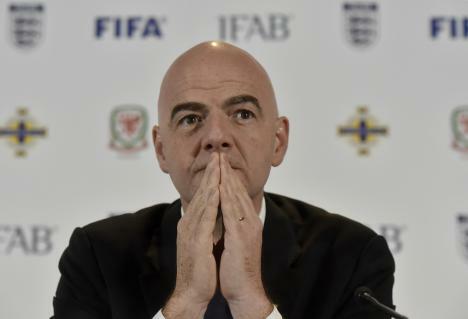 A controversial penalty call in the 123rd minute cheated Costa Rica out of an opportunity to take the game to penalty kicks, and Mexico defeated Los Ticos 1-0 on Sunday. 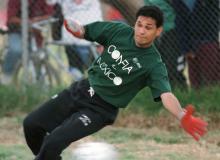 Former El Tri goalkeeper Adolfo Rios sat down with Latin Times to discuss all things soccer and the Mexican National Team's chances of dethroning the Stars and Stripes as CONCACAF Champions. 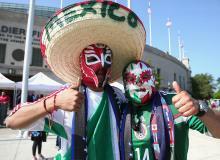 We preview and predict the 2015 Gold Cup Quarterfinal match between Mexico and Costa Rica on Sunday. Don't forget to vote in our poll and tell us who you think will win the match. 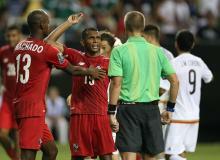 Panama Vs. Trinidad and Tobago Quarterfinal match at Gold Cup, Sunday July 19 at East Rutherford, New Jersey at 4:30 p.m. ET for a ticket to the tournament finale. Vote Who Will Win? The Americans will play either Jamaica or Haiti in the semifinals Jamaica or Haiti in the semifinals in Atlanta on July 22. 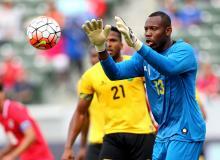 Both teams Jamaica Vs. Haiti play tonight at Baltimore as well. 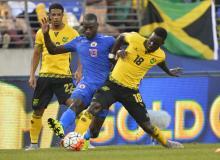 We preview and predict the 2015 Gold Cup Quarterfinals match between Jamaica and Haiti. Don't forget to vote in our poll below. 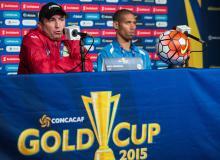 We preview and predict the 2015 Gold Cup Quarterfinals match between the United States and Cuba. Don't forget to vote in our poll and tell us who you think will win the match. 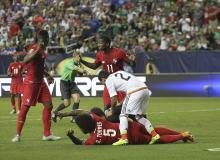 Seven total goals were scored in the second half including three in the final few minutes as Trinidad and Tobago found a late equalizer to advance to the quarterfinals as the 2015 Gold Cup as the top seed in Group C.
We preview the 2015 Gold Cup Group C match between Mexico and Trinidad and Tobago as the winner will win the group. Tell us who you think will win in our poll below. 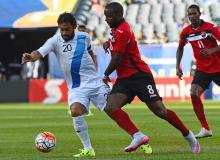 Cuba vs Guatemala for Group C in 2015 CONCACAF Gold Cup will be take place at Bank of America Stadium in Charlotte, North Caroline at 6:00 p.m. ET.